Amol Joshi is a Senior Technology Executive with over 14 years of experience in leading and executing complex IT Transformations. With a natural handle on leadership and motivation, he approaches business challenges in a detail-oriented way and demonstrates quantifiable results throughout the course of highly technical and complex engagements. 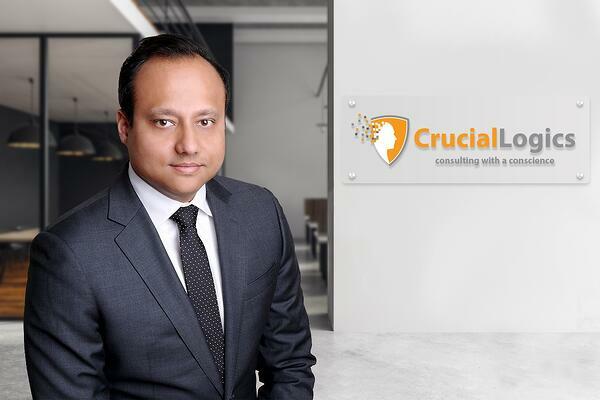 At CrucialLogics through Consulting with a Conscience™ Amol leads the Enterprise Solutions and Governance Practices. Amol brings a solid history of technical expertise in globally scaled enterprise context. Managing technology Mergers, Acquisitions, Digital Transformations in 1000s of user scale, his ability to ensure that any technology initiative is designed and delivered in a foundationally thorough and secure manner through his wealth of experience is invaluable. Amol’s senior security expertise ensures our clients all solutions delivered in our Enterprise Solutions practices are built with security first, and the appropriate governance and controls are implemented. His oversight and leadership of the practice enables a strategic outlook to minimize risk and ensure integrity, confidentially and availability of information that’s owned, controlled and processed within the organization. Creative, innovative, and enthusiastic, Amol is driven to provide open and honest advice about the IT solutions available to clients. He views every problem through a business-focused lens and brings a patient spirit of collaboration to ensure that he delivers a quality result that everyone is comfortable with and that the business can trust is effective. Amol is a seasoned executive with a track record of managing high risk and strategic projects leveraging stakeholder management and conflict resolution skills. Amol has a BSc. in Computer Science, is a certified Project Manager by PMI (PMP) and is a Certified Information Systems Security Professional (CISSP).